Both books contain songs that have singable melodies and familiar rhythms that children remember. 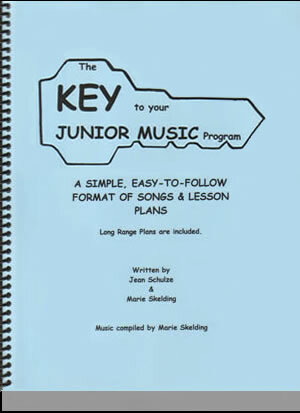 The songs are organized to support the sequential and developmental nature of learning music. Both resource books meet the requirements of the Ontario curriculum. 1. The postage costs based on your location appear in the opposite column. 2. Click the appropriate "add to cart" button for your region that appears under the book(s) you wish to purchase. 3. On the Paypal shopping cart page, update the number of books you want. 4. Proceed to the "checkout" page on Paypal. Enter credit card details and mailing address. 5. Ensure that the total cost matches the number of books and the per item shipping charge. 6. If you wish to return to the Paypal page at anytime without adding more items, click on the "view cart" button. 7. If you have any questions before ordering, do not hesitate to contact us by e-mail. 4. For large orders (over 10 books), contact Jean Schulze or Marie Skelding by e-mail for a quote. 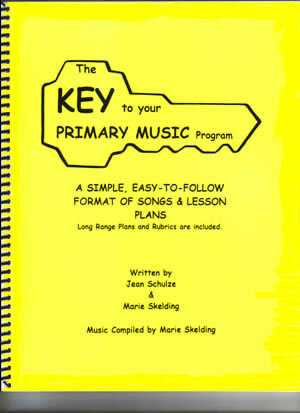 As knowledge and confidence increase, teachers can use the system from the resource books to add other songs to their music program. From experience, these books work. Even specialists will find that having a program planned and ready is a valuable asset.